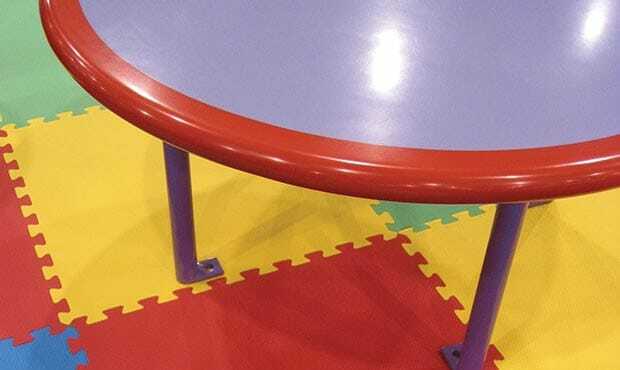 The three main areas to consider for kid-friendly site furnishings are the required function, the children’s safety, and age-appropriate design. 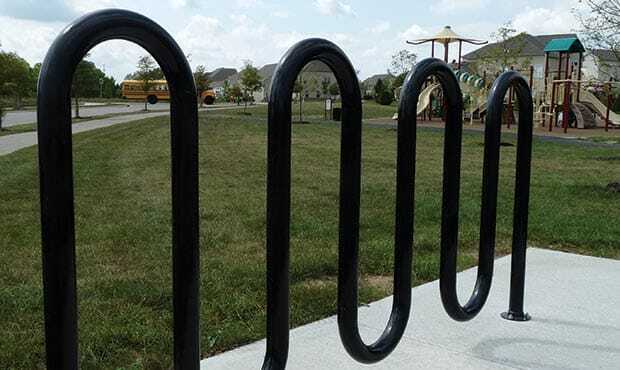 Accommodate bicycle parking – Bike racks are necessary in most schools, parks and playground settings – especially in neighborhoods that promote and encourage bike transportation. Maintain clean surroundings – With kids comes a constant debris field of snack wrappers, juice boxes, tissues, gum and other litter possibilities. 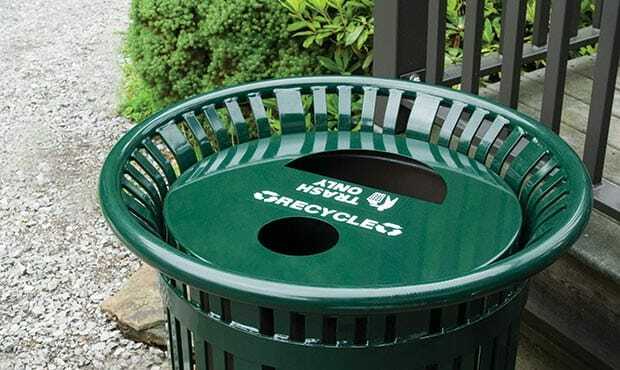 Keep trash in its place with well-placed trash cans and simple instructions. 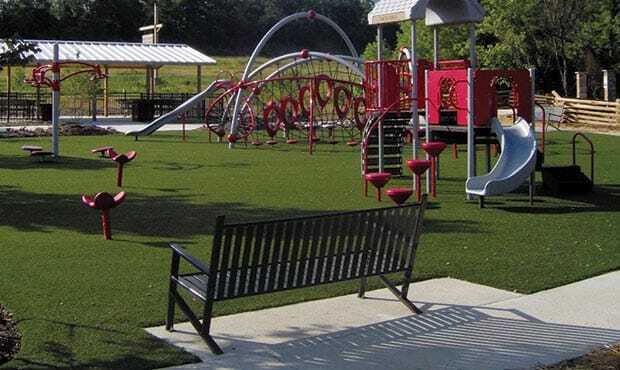 Provide picnic areas – Facilitate all-day adventures by providing an area for kids to break for a picnic lunch. 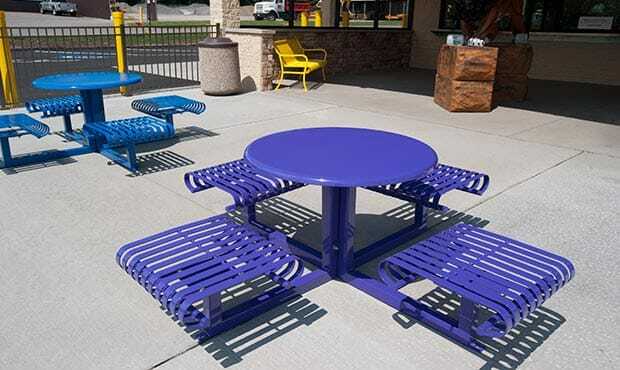 Powder coated steel picnic tables are a durable solution with easy-to-clean surfaces. Offer seating for parents – While kids are off playing, make sure to offer spots for parents to sit and enjoy the view. 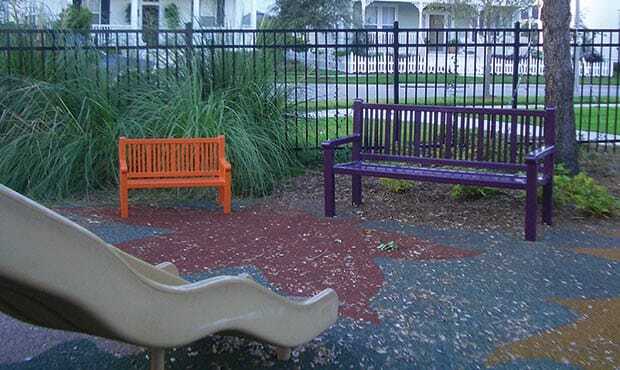 Place benches within easy viewing distance of play areas. 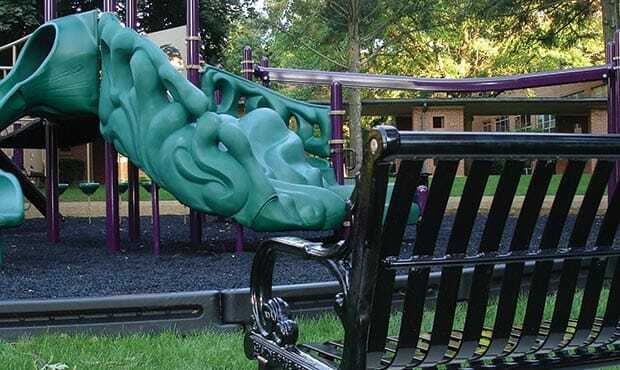 Establish a “Buddy” Bench – A concept gaining attention across the country, a “Buddy” or “Friendship” bench installed at a school playground offers a way to promote inclusion and kindness among children. A bench with a simple message of friendship customized into it helps to establish an outlet for lonely kids looking for a friend. How can your site furnishings help with safety concerns? Bollards – Appropriately-placed posts can be used to deter traffic from play areas and keep children safe from moving vehicles. Tables and chairs – Consider one-unit table sets or bolted seats like our Easton or Saxony table sets. These types of tables help to prevent tipping seats or children hurting themselves by lifting heavy chairs. Metal furnishings – Steel furnishings offer the benefit of not cracking or splintering like wood products often do. This prevents the possibility of scratches and splinters. 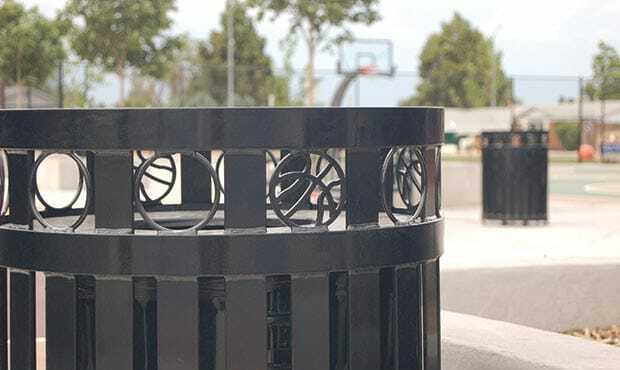 Keep kid areas smoke-free – Use ash receptacles in defined smoking areas that are far from where children play. Address entrapment issues – Furnishings should adhere to building code designs and must have openings smaller than 4 inches or larger than 9 inches to avoid any possibility of head entrapment. Finally, when working on a project geared towards children, it always helps to create a colorful and whimsical space that builds on kids’ imagination. Keep it colorful – Use custom colors to bring out the fun in furnishings – bright pink, lime green, sparkle colors and more. Kid-size amenities – To meet the kids at their level, include furnishings that are sized just for them. Keystone Ridge Designs offers a unique line called Puddin Drippins that is specifically geared towards children. Unique customizations – Think out of the box on how to customize furnishings to create the look and feel of a kid-themed environment. Use colorful decal logos, playful laser cut shapes or ideas designed entirely from scratch. In our world of electronic devices, there is always a push to get kids moving outside and enjoying outdoor spaces. Using site furniture appropriately can help to provide cleaner, safer and more enjoyable public areas for children to engage in outdoor play.